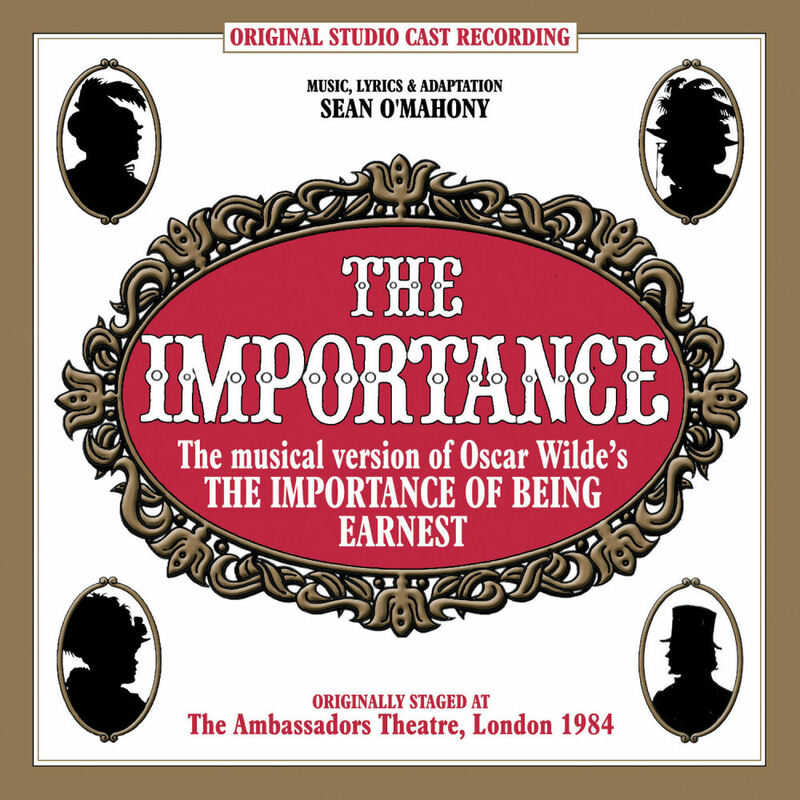 Sean O'Mahony's musical adaptation of Oscar Wilde's 'The Importance Of Being Earnest' was first staged at London's Ambassadors Theatre in May 1984. Produced in association with Ray Cooney's The Theatre Of Comedy Company, 'The Importance' starred David Firth, Patrick Ryecart and Judy Campbell and ran for a limited season. To date, 'The Importance' holds the distinction of being the only musical adaptation of 'The Importance Of Being Earnest' to run in the West End. A revised production subsequently opened at Peterborough's Key Theatre in July 1986, now titled 'Borne In A Handbag' the new cast featured Nigel Williams as Jack Worthing, Cal McCrystal as Algernon Moncrieff, Amanda Bairstow as Cecily Cardew, Charmian Gradwell as Gwendolen Fairfax and Ann Hamilton as Lady Bracknell. Following the Key Theatre production, O'Mahony's delightful score was recorded as a studio cast album with members of the original Peterborough cast and other West End vocalists. Produced over a period of 20 years the album features such leading West End performers as Nigel Williams, Jill Martin and Susan Jane Tanner. 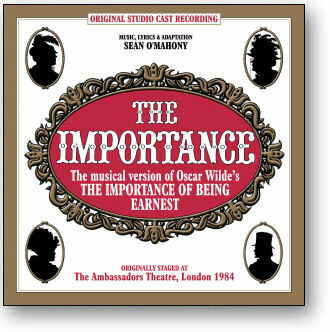 Stage Door is now pleased to debut 'The Importance' cast recording on CD. 13. MAY I OFFER YOU A CUP OF TEA?